Are we able to rethink ourselves? The global warming debate keeps on popping in and out of our news headlines. It involves us all, yet not all of us are involved. Why? Scientists are just like ordinary people. They have dreams, ambitions and nightmares. They have strength of character and character flaws. Scientists seek the truth, yearn for it, and yet they do lie. Scientist can be spot on and totally beyond point. So is science. Science is a reflection, a recollection and a repository of the collective effort of humanity in its exploration and understanding of nature. Science is the study of nature, life. The scientific modus operandi is to gather data, analyse data and model them into theories. Scientific findings are initially presented to a community of peers and offered up for independent review and verification, before presenting them to the general public. If and when a scientific mode — a theory — cannot be reproduced or independently verified, then such a model gets discarded, put on hold or is shelved for a better day. A model can also be re-modelled, adjusted, modified to better fit the outcome of new research results, as has happened with the global warming model several times over the past decades. Science is an iterative process of continuous fine-tuning, (re-)calibration and (re-)examination of both the input and the output of data, cause and effect. Since global warming involves and affects us all it is needless to say as to how and why global warming has become such a huge topic since its emergence in the late 1970’s. Man-made global warming has become science fact, without fully understanding and encompassing the underlying mechanisms. Patterns have emerged from the data collected and presented to us with probable cause and probability of effect — which has left little room for either scientific or public debate. One is either ‘for’ or ‘against’ global warming, which strikes us as odd and dare we say unscientific — in particular given the fact as to what is at stake: the future of humanity and the planet we call ‘home’. The rise in global average temperatures and sea levels, the melting of polar caps, the correlation with and attribution to human (industrial) activity, involves a complex set of parameters and a staggering amount of data. Data which has been collected over the last 200 years or less. A very small timeframe not only when compared to the millions of years in our planets existence but also when compared to natural cycles of our planet and the universe that surrounds us. So is global warming a hoax? Well, no, not exactly. It is a sign of our times. A sign that the fossil fuel economy, the industrial technologies and monetary systems that have evolved in about the same time period that we are able to accurately collect data about the phenomenon have become outdated and are overdue. The central issue with ‘global warming’ lies not in the data presented but in the conclusions drawn upon them; how solutions are presented and how the public debate is covered. One of the issues we can discern with global warming as a science is the amount of capital, both monetary and in terms of careers and reputations that has been vested into it. Global warming has ventured out of the laboratories and halls of study and has allied itself with an industry of vested political and economical interests. It has become an industry on its own. Rather from strictly presenting and debating science facts, global warming proponents have colluded with other forces in areas less familiar to traditional science. That of predictions. When polar caps melt due to a rise in temperature, the calculation of the rise in sea levels seems pretty straightforward, yet do we know al the input paramaters in order to accurately predict such an outcome? Are computer simulations and laboratory experiments sufficiently rigid in order to predict the future of humanity? Global warming is, has become, a mixed bag of disciplines. a pseudo science. When we talk ‘global warming’ we not only talk science, but also politics and public opinion. Science doesn’t dwell well in such an environment. 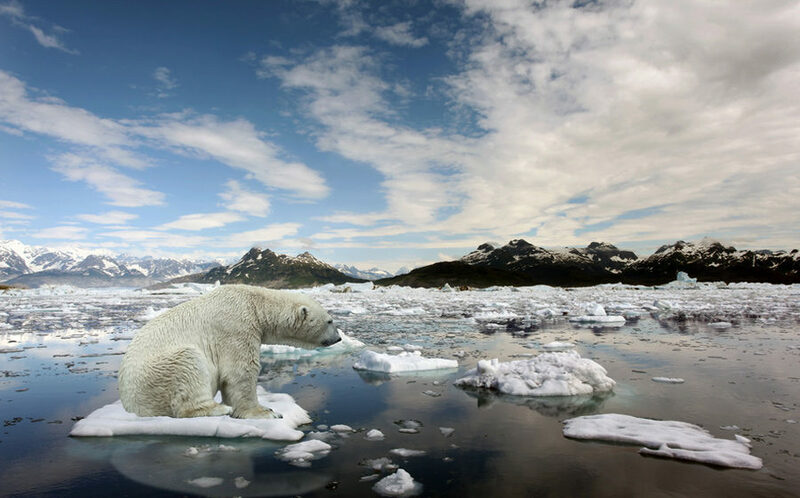 The global warming debate has indeed raised awareness to a potential threat humanity is facing, yet measures and policies with regard to the matter are mostly monetary of nature. CO2 stock exchanges, carbon taxes, investment in green technologies and fossil fuel divestment. Do we believe we can buy our way out of the problem? Global warming doesn’t involve us all. Why not? Furthermore, why do resolutions on climate change and global warming only seem to involve leading industrial economies. Because they are the biggest polluters? That’s a superficial argument. A challenge of such magnitude should involve all nations — on equal terms. Why is the burning off of coal in an energy plant more significant to the issue than for instance deforestation due to the use of firewood in kitchen stoves? The science of global warming may be an indisputable fact to the mainstream of the public debate. Yet, it can be argued that global warming as a policy issue may well prove to be mis-represented and abused to cover up and deflect our minds away from our inability to move away from a fossil fuel economy. Who knows for instance that Tesla is far more than an electric car? Einstein, Edison, yes, but Tesla? Why do we debate and maintain nuclear fission while nuclear fusion technology is an increasingly feasible alternative energy source? Are windmills and solar panels ever able to produce the amounts of energy we require? The global warming debate garbles up so much of attention, time and resources that we might forget what is at stake: the future of humanity as a whole. Global warming being the warning sign, it has not offered us a single solution that is durable and sustainable on a global scale. What it has produced is industry scale political, social activism and journalism. The list of NGO’s that feed off of the topic is endless. Go tell this to the African mother who is cooking a day’s meal on the fire stove — not knowing if she is capable to repeat the task tomorrow. What’s in it for her? Nothing. The debate on global warming is a sign of the times indeed for it reveals our inability to tackle global issues on a global scale. One doesn’t need a science degree to understand that we are destroying our planet. A child knows and understands that whatever comes out of our car’s tail pipe beyond water vapour is not healthy, either to us or the planet. So are the exploitation, manufacture and waste disposal of car batteries, the rare earths used in our mobile phones and a multitude of other products we deem necessary to maintain our quality of life. So rather than to trap ourselves in the debate over who is right with regard to global warming we might want to pose a different question: who is to benefit from this all? Where’s the profit and what does the profit consist of? Money? Power? Knowledge? Information? Profit is not evil. Usury is. We might want to take a step back and rethink the issue for a while. What is the global warming debate all about? Is it really about science telling us that excess CO2 causes a rise in temperature and subsequent change of our environment? Or are we being led into another room full of mirrors whereby fact and fiction are blurred, global warming being but a mere vehicle to push a different agenda? The Truth is like a lizard’s tail. Once you grab hold of it, the tail breaks off and a new one grows on. Watch this UK Channel 4 documentary from 2007 for an alternate take on global warming.